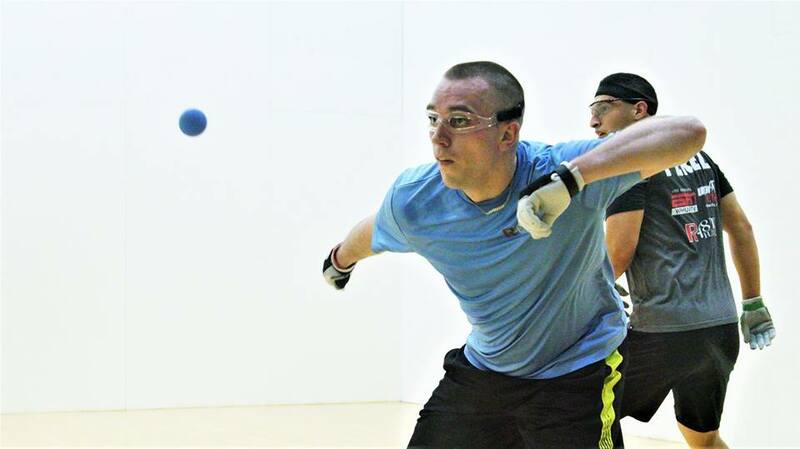 Moycullen HC, Galway, IRE, WPH Press, 12/16/18- GAA handball hosted its second ranking event of the season at the Moycullen Club, with 24 of Ireland’s top stars in action. Moycullen host and reigning GAA All Ireland 40×20 champion Martin Mulkerrins headlined the field, alongside his fierce Irish rivals Diamaid Nash, Robbie McCarthy, Colin Crehan, Gavin Buggy, Michael Gregan and many more. Mulkerrins demonstrated why he’s the Irish #1 en route to the final, blitzing Ger Coonan and Sean Kerr en route to the semifinals. 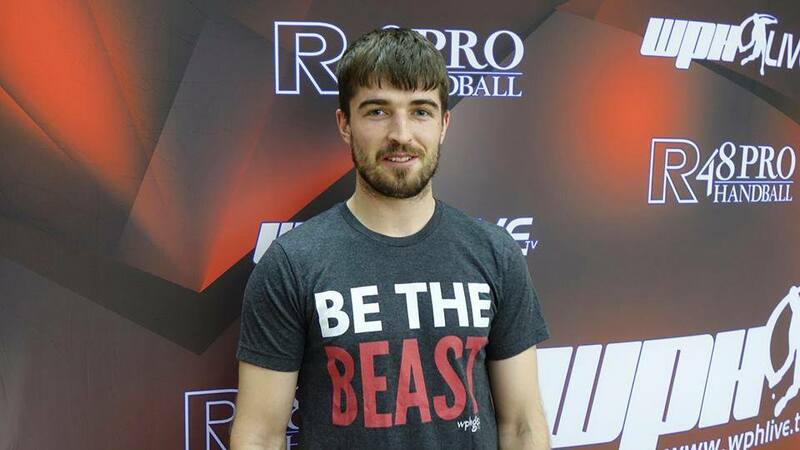 “The Buzzsaw” awaited Mulkerrins in the semifinals, as McCarthy was eager to reenter the top of the sport. Mulkerrins overwhelmed the Buzzsaw with steady power and consistency, racing to the final with an emphatic win. 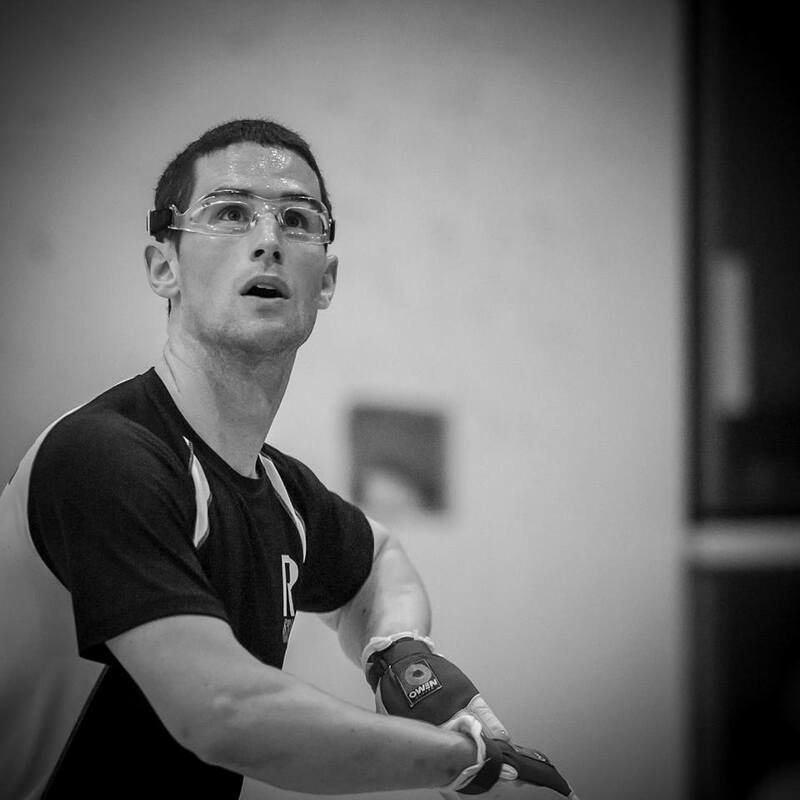 Diarmaid Nash continued the outstanding play that saw him clinch the GAA’s first ranking event at the Golden Gloves earlier this fall, cruising past Brian Carroll, Darragh Daly, and Michael Gregan to meet Mulkerrins in the final. 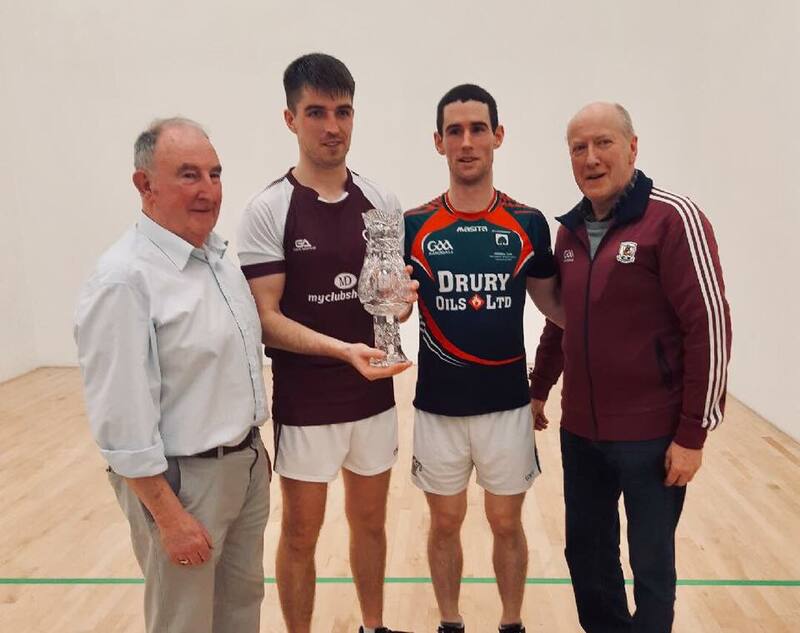 Trophy picture courtesy of GAA Handball.